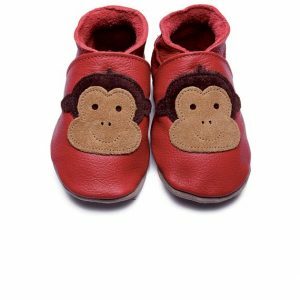 This extensive range of individually designed baby shoes are all made in the UK from soft and natural leather allowing a baby’s feet to breathe. These soft leather baby shoes are all presented in a beautiful gift box with the option of adding a gift message. Baby shoes make wonderful baby gifts whether it be as a Christening gift or as a newborn baby gift. There are a number of designs to choose from for both girls and boys and most are available from birth up to 24 months. For that extra special gift take a look at the sheepskin booties available in pink, blue or tan they are perfect for the winter months when out and about. Baby shoes are great for indoor use, especially in the colder months, or for out and about in the buggy. 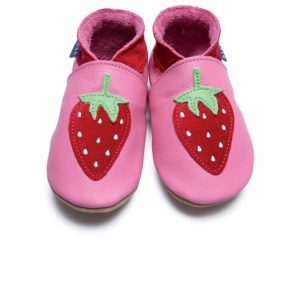 They all have supple non slip soles which are perfect for babies and are made from soft breathable leather allowing babies feet to breathe and grow naturally. These baby shoes are secured with an elasticated ankle for ease of fit. Knowing the importance of safety when it comes to babies each pair of shoes has been made from the softest and best quality leather and exceed British safety requirements, whilst also conforming to European Safety Standards.